The ethanol lobby offers two fixes for the blend wall. Neither is workable. The EPA thinks it has another card up its sleeve. One option long advocated by the biofuel industry is for Congress to “incentivize” sales of E85 (motor fuel blended with up to 85% ethanol). Every gallon of ethanol sold as E85 represents up to 8.5 gallons of ethanol the refiner does not have to sell as E10. In theory, a robust market for E85 would enable refiners to meet the rest of their quota obligation within the E10 blend wall. 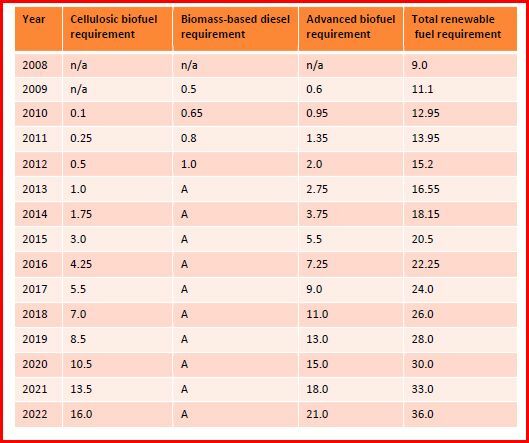 However, the chief obstacle to market penetration of E85 is not, as the ethanol lobby contends, the absence of political support such as flex-fuel vehicle mandates and tax breaks to install E85-capable storage tanks and blender pumps. The main barrier is simply that E85, due to its inferior energy density and poor fuel economy, is a money loser for consumers. FuelEconomy.Gov, a Web site jointly administered by the EPA and the Department of Energy, makes this painfully clear. At today’s prices, the typical owner of a flex-fuel vehicle would spend up to $750 a year more to drive with E85 instead of regular gasoline. This could help manufacturers that wish to raise compression ratios to improve vehicle efficiency, as a step toward complying with the 2017 and later light-duty greenhouse gas and CAFE standards (2017 LD GHG). This in turn could help provide a market incentive to increase ethanol use beyond E10 by overcoming the disincentive of lower fuel economy associated with increasing ethanol concentrations in fuel, and enhance the environmental performance of ethanol as a transportation fuel by using it to enable more fuel efficient engines. Using high-octane premium-grade gas in an engine that does not require it offers no benefit. But in engines designed to squeeze the fuel-air mixture to very high pressures before igniting it with the spark plug, high-octane fuel burns predictably and can produce more horsepower. 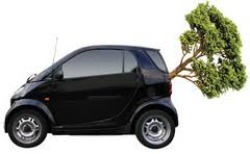 . . .Ethanol contains only about two-thirds as much energy as gasoline, gallon for gallon. But if it is burned in engines designed for high cylinder pressures, it will produce competitive horsepower. Are E30-optimized vehicles commercially viable? The proposed Tier 3 rule provides no data on either the consumer cost of such vehicles or the fuel economy gains. Even if the lifetime fuel savings outweigh the increase in vehicle cost, that is not usually the decisive factor for most consumers, otherwise hybrid sales would be larger than 4% of the vehicle market. One thing is clear. E30 would face an even bigger infrastructure challenge than E15 does. A March 2012 API study found that “very few” service stations would be able to sell E15 with existing equipment: “Equipment modifications could be as little as new hanging hardware (i.e., hose, nozzle, etc.) or as much as an entirely new fuel dispensing system.” More extensive modifications, such as new dispensers and a new storage tank, would likely be required to sell E30. The cost of a new fuel dispenser is approximately $20,000. An average store has four dispensers, so the cost could be as much as $80,000 to upgrade the dispensers alone. If underground equipment is also replaced, permitting and other related costs would increase expenses significantly. In April 2012, NACS estimated that the nation’s 120,000 convenience stores would have to spend $22 billion on retrofits if they had to sell blends in the range of E30 and higher. What would it take to mobilize that much capital? Consumer demand for E30-optimized vehicles is unlikely to surge to the point where the industry on its own would make the requisite investments. Given the debt crisis, Congress is unlikely to pony up billions in tax breaks to subsidize construction of a national E30 infrastructure. Yet the EPA seems determined to shatter the E10 blend wall. The EPA’s “audacious suggestion” is thus most likely a beachhead for more aggressive moves down the line. Don’t be surprised if future Ethanol Promotion Agency rules effectively mandate that new vehicles be designed to run on E30.